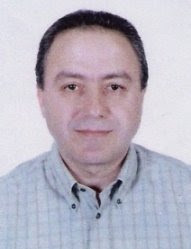 Fouad Khalil has been promoted to the position of Plant & Administration Manager at Easternpak, effective 1 April 2008. Fouad joined INDEVCO Group as Plant Superintendent in Unipak for 5 years. In 1994, he headed Easternpak Production Department. In 1999, he was appointed Production Manager for this department. Fouad's commitment to INDEVCO Group values as well as his contributions to work procedures and large experience has contributed to his record. Join us in wishing Fouad continuous success in his expanded responsibilities.